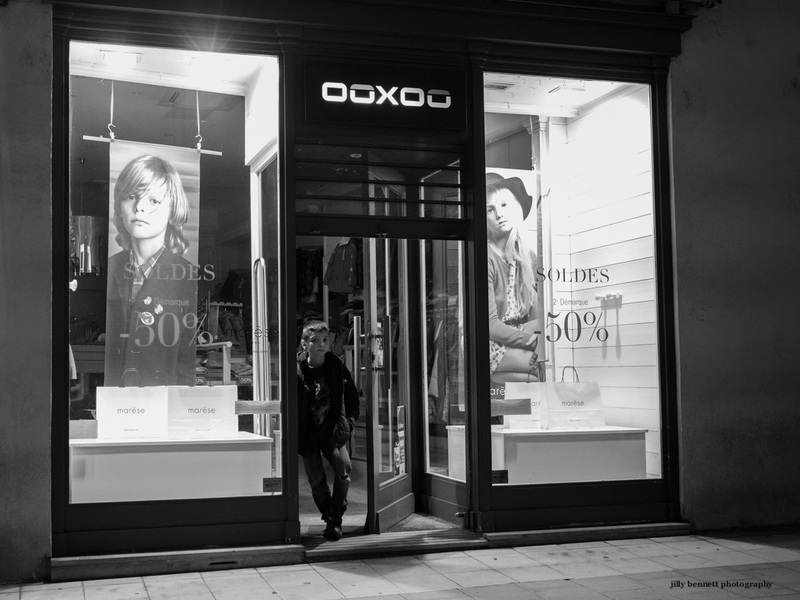 Closing time at a clothing shop for kids in Menton. This is a very nice capture. It is almost as if the store is parodying itself. From the look of it, I'd guess that it is absurdly expensive. At this moment it is empty and about to close. Maybe it deserves to so so. This is how I feel when I shop at a mall. Bought some sheets and pillowcases the other day. I was the only customer in the store. The kid looks impatient to leave.